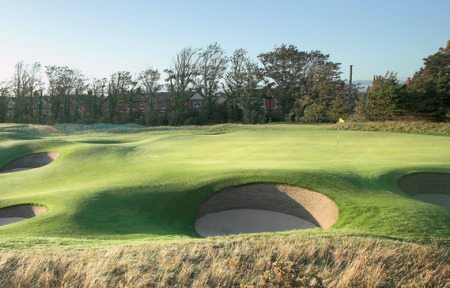 Jeff Hopkins is having a good week at the Lytham Trophy.Skerries’ Jeff Hopkins, defending champion Paul Cutler and Newlands’ Andrew Hogan were the only Irish players to make the halfway cut in the Lytham Trophy at Royal Lytham and St Annes. Plus two handicapper Hopkins, 19, shot a nine over par 79 on another day of high scoring at the Lancashire venue to go into Sunday’s final 36 holes six strokes adrift of leader Tom Lewis on 13 over par. 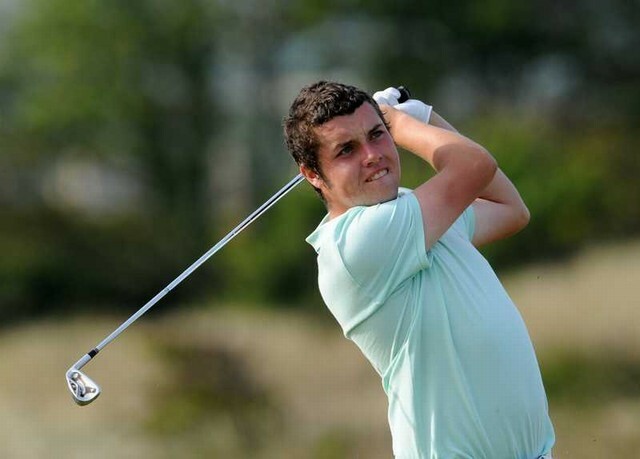 Portstewart star Cutler, who was crowned West of Ireland champion on Tuesday, also shot a 79 to share 26th place and trail Lewis by eight shots on 14 over. Hogan added an 80 to his opening 75 to make the 16 over par cut for the top 40 and ties with a shot to spare. In the end, exactly 40 players finished on 16 over or better with Welwyn Garden City’s Lewis two strokes clear of Jordan Findlay (77-72), Finn Miro Veijalainen (77-72) and Arnaud Abbas (72-77) of France on seven over par. Ballymena’s Dermot McElroy (78-80) missed the cut by two shots with Dunmurry’s Stephen Crowe (75-85) and Rathmore’s Alan Dunbar (74-86) four strokes outside the mark on 20 over. Portstewart’s Paul Cutler battled through the pain barrier to romp to an emphatic victory in the Lytham Trophy at Royal Lytham & St Annes. The Ulsterman, 21, was suffering from tendinitis in his left elbow but dug deep to close with a one over par 71 for a three-shot win over Scotland’s Kris Nicol on four over par. West of Ireland runner up Alan Dunbar and Skerries’ Jeff Hopkins made promising starts to the prestigous Lytham Trophy at Royal Lytham and St Annes. The pair carded four over par 74s on a day of tricky east winds and even trickier pin positions to trail Heysham’s Jack Senior by just three strokes and share 10th place. Skerries’ Jeff Hopkins tied for second place behind Jack Senior in the Lytham Trophy after three days of carnage at Royal Lytham and St Annes. The 19-year old talent finished five shots behind Walker Cup squad member Senior on 24-over par after rounds of 74 and 77 on the final day at Royal Lytham and St Annes.